Working collaboratively with my supervisor, Victor Ochoa, we designed logos for different trades. Because of the recent comic boom, a lot of smaller characters were getting their own series. So these logos were created to distinguish these characters from their counterparts and from their old series to give them a new voice and character refresh. 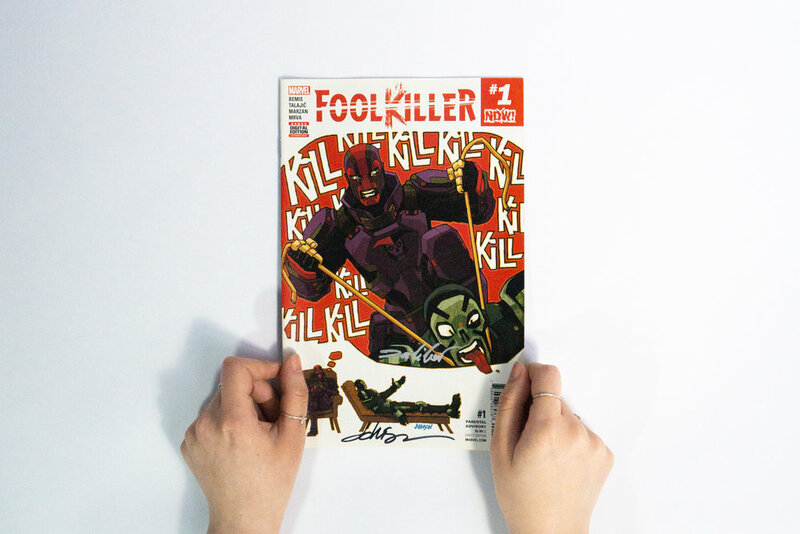 Foolkiller was the first series where I had a taste of designing for comic books. This character first appeared in the 1970s and in 2016, he received a solo series so he needed a brand refresh. Because he is an antihero that wields a gun I iterated on different motifs based around that information. The Unstoppable Wasp was the first one I attempted a custom logo for without using a typeface as my basis. The iterations show my ideas of trying to show a stinger and the wings in a rounded, bold, angular way. Deadpool the Duck was difficult at first because the Deadpool franchise is so diverse and making designing a logo that is recognizable but also new was tricky. 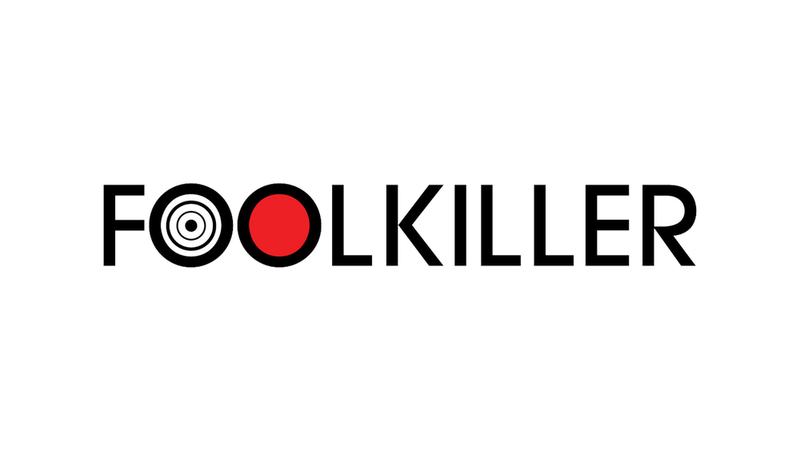 While playing around with the logo I thought it was kind of funny that the two O's in Deadpool looks like eyes so I illustrated duck lips underneath and the editors loved it. Elektra had a stand alone series in the past but needed a modern remake. My initial concepts were based off of Elektra's Greek culture but the editors didn't want that aspect to be the focus in this series. Instead I was briefed on giving her an "anime-like" ninja logo. Thus came the last iteration combined with the red dagger from previous concepts. Deadpool 'Til Death Do Us Part...'s logo was to attempt to do a tattoo-like banner underneath the Deadpool logo. However, I felt the illustration style didn't match with the story so I illustrated a scythe that would sit as the banner that could be interchangeable for this six-part story-arc that collaborated with other Marvel characters. Weapons of Mutant Destruction was to illustrate the collision of the Weapons X program with Totally Awesome Hulk. The logo was designed to look like it would belong in a laboratory's caution branding. This book is special to me because oddly enough Marvel does not credit logo designers often enough. 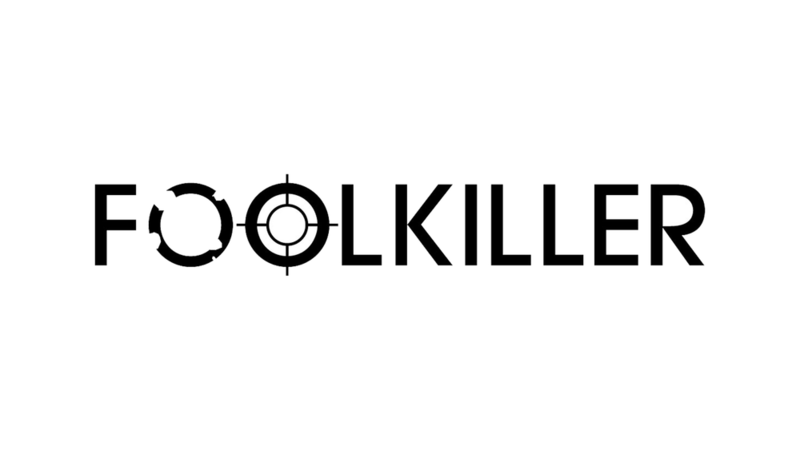 But, this series is the only one where my name is accredited with designing the logo (thanks Victor).